NEW YORK, New York, December 21, 2010 (ENS) – The United Nations has capped its Biodiversity Year 2010 on a high note by creating a new science policy platform to counsel governments on reversing the steep decline in biodiversity and ecosystem services. The new body, to be known as the Intergovernmental Platform on Biodiversity and Ecosystem Services, IPBES, was approved by governments in June at a meeting in Busan, South Korea, but final approval was required from the UN General Assembly. That approval came Monday at UN headquarters in New York. “IPBES represents a major breakthrough in terms of organizing a global response to the loss of living organisms and forests, freshwaters, coral reefs and other ecosystems that underpin all life – including economic life – on Earth,” said Achim Steiner, executive director of the UN Environment Programme. It underlines a further success of the UN’s International Year of Biodiversity and should provide a boost to the International Year of Forests which begins in January 2011, and the international decade of biodiversity, also beginning in January 2011, Steiner said. The independent platform will mirror the Intergovernmental Panel on Climate Change, IPCC, which fosters understanding and governmental action on global warming, with in-depth reviews of climate change science by thousands of experts worldwide. Dr. Robert Watson, who chaired the IPCC from 1997 to 2002, headed the first two formative meetings of the new body. “All governments have agreed that there is a need to strengthen the science-policy interface, so the only question is how, and what role can the IPBES play,” Watson said in June. 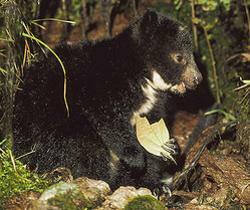 The Dingiso, Dendrolagus mbaiso, classed as Endangered, lives only in two New Guinea mountain ranges. That role has now been decided. There has been no global ongoing mechanism recognized by the scientific and policy communities, that pulls together, synthesizes and analyzes for decision making the great variety of reports and assessments on biodiversity and ecosystems conducted by United Nations bodies, research centers, universities and others. The IPBES will fill that gap. The new body will carry out peer reviews of scientific research on the state, status and trends of biodiversity and ecosystems and will outline policy options and responses to improve their health. Steiner said the formal go-ahead for an IPBES means that much of what was viewed possible in 2010 has been transformed into a reality. The General Assembly’s approval triggers a series of steps needed to get the work of the new body up and running. 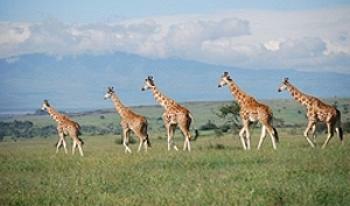 Acting as the interim Secretariat for the new platform, UNEP will now organize a meeting of governments in 2011 that will decide issues such as which country will house the IPBES and which institutions will host it. Steiner says many of the important findings of these assessments are not being translated into meaningful and decisive action by governments due, in part, to different methods and standards used in each assessment. IPBES can coordinate the findings of these and other assessments to provide governments with greater clarity and confidence on conclusions they can base their decisions and actions on, he said. IPBES also can direct the attention of governments to new topics identified by science that otherwise might remain within the corridors of research institutes and universities for years before they reach the wider world. From the identification of new life forms to the fast disappearance of others, from deoxygenated dead zones in the world’s oceans to the pros and cons of biofuels – IPBES will put scientific discoveries on the political radar. IPBES will also be able to assemble funding to help developing country scientists perform assessments, harnessing funding through UN agencies, foundations and other sources.